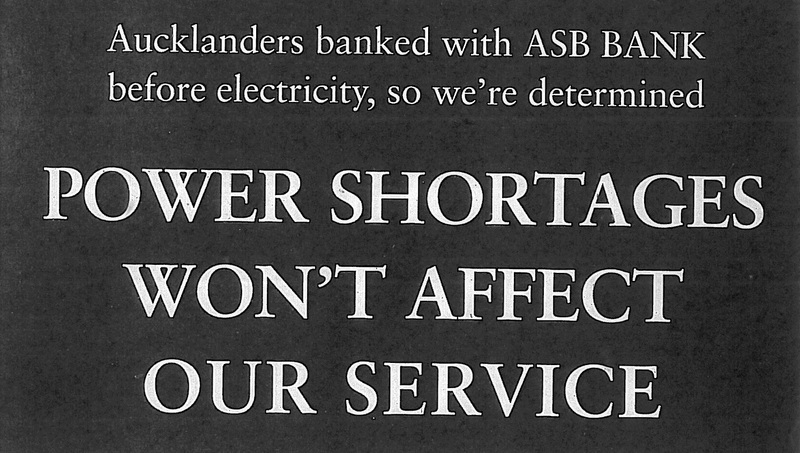 What did Aucklanders use for power before candles? Electricity. Twenty years ago this summer, New Zealand sweltered in an El Nino weather pattern that produced some of the hottest temperatures on record. In the north, cities were hot and humid, and in the south, drought was declared. 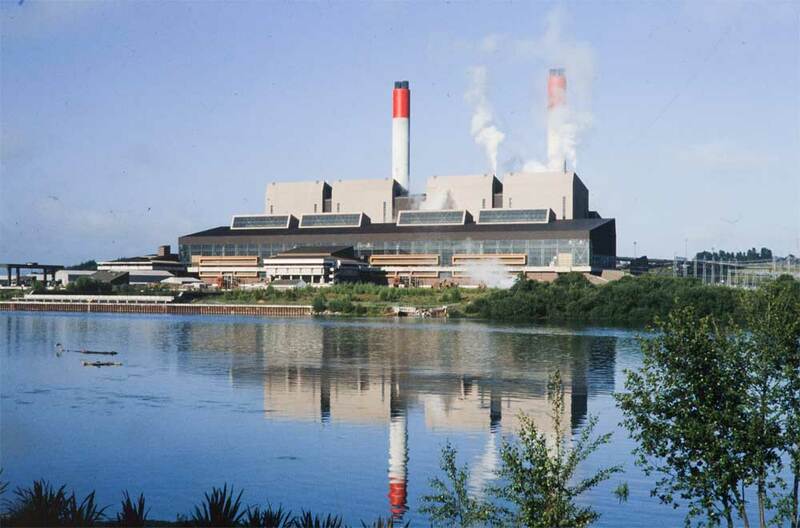 At Huntly, the power station hovered dangerously close to shutting down as hot weather warmed the Waikato River to 24 degrees. At 25, it was deemed too dangerous to discharge water back into the Waikato. Eric Young. Huntly Power Station on the Waikato River, 1989. Sir George Grey Special Collections, 1021-545. 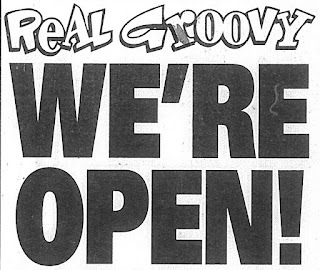 And in the Auckland CBD, in that scorching February of 1998, the power went out. The Mercury Energy Crisis began on 22 January when the first of two cables feeding power from Penrose to the city, failed. 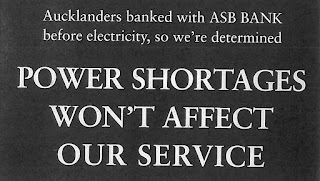 Two weeks later, on 9 February, the second Penrose cable failed, and Aucklanders faced a reported three weeks of power rationing. Generation sources were investigated, businesses and residents urged to conserve electricity, and Mercury rushed to work on an emergency overhead cable. Mayor Les Mills called for power rationing amidst the soaring use of fans and air conditioners in the heatwave. Meanwhile, the two cables at the Mt Roskill substation supplied power, amidst fears that could be overloaded. On 19 February, the unimaginable happened. Auckland’s CBD was plunged into chaos as, over 24 hours, both Mt Roskill cables failed, leaving the city on the brink of a state of emergency. Power now came through a subsidiary cable from Kingsland. It was able to supply 30% of the power needed. For eight weeks, the inner city area, a small block roughly bordered by Nelson Street, Quay Street, Symonds Street and K-Road, struggled along with some power, no power, or intermittent power, leaving the rest of Auckland and New Zealand to follow the unfolding disaster by news. The owner of a High Street café donned a miner’s lamp and made coffee by candlelight. 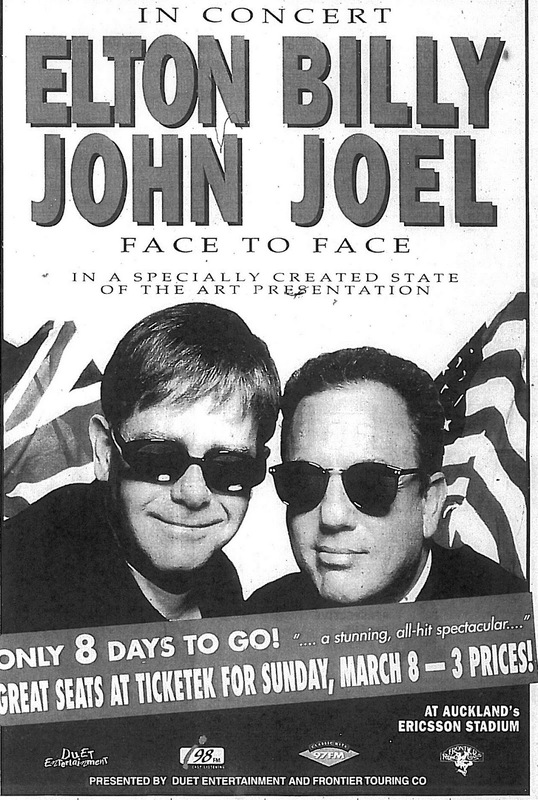 Elton John offered to fly in generators for the city, since he was bringing his own for his concert with Billy Joel. 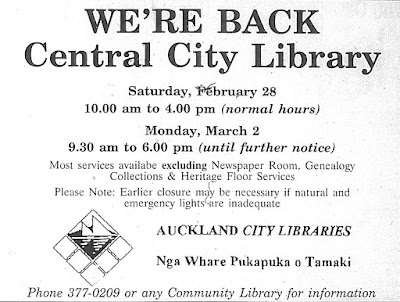 In the Central City Library, partial service carried on with rationed electricity, and a generator to ensure the heritage collections were kept under their temperature-controlled conditions. The city’s emergency services feared a towering inferno scenario with candles and lamps burning in the new apartment blocks. Oil and diesel generators overheated, and fumes reeked in the hot air. Daily power reports were the norm. At the end of March, hopes were dashed when the anticipated emergency cable was installed, and promptly failed. It would take until mid-April before full power was restored. Accusations flew at Mercury Energy who just the year before had won a Service Excellence Award. Blame was attributed to staff cuts that had halved the workforce, to reforms in the electricity industry, to warnings a decade earlier that the cables were wearing out, and to the dry weather that had caused the ground around the cables to harden and crack. Significant overloading on the cables in the days prior to the failures was suggested as the straw that broke the camel’s back. Yet, in spite of the weeks with minimal power, and the calls for Aucklanders to avoid the CBD, life did go on. 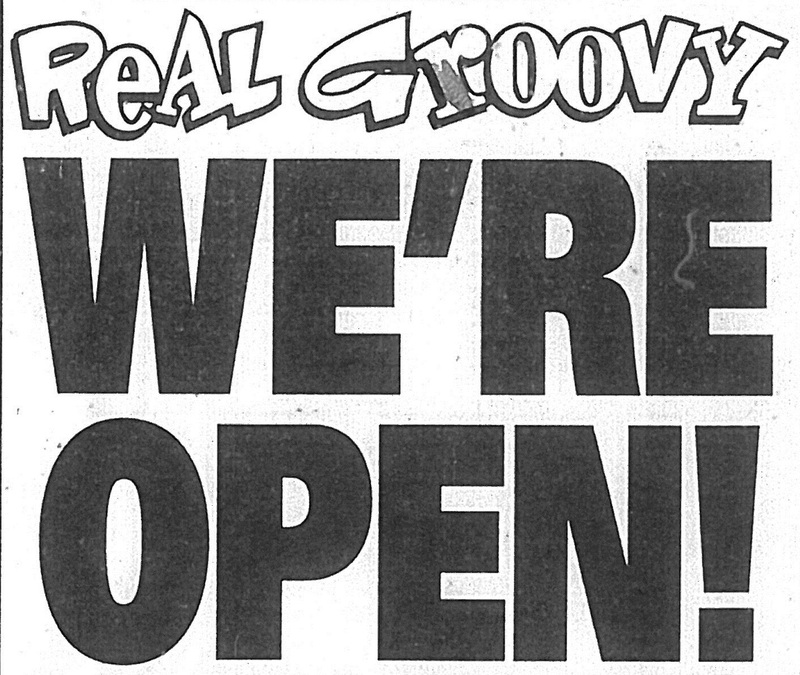 Stores still in business promoted blackout sales, and there was a three day festival at Aotea Square, where the pop group, Aqua, performed. 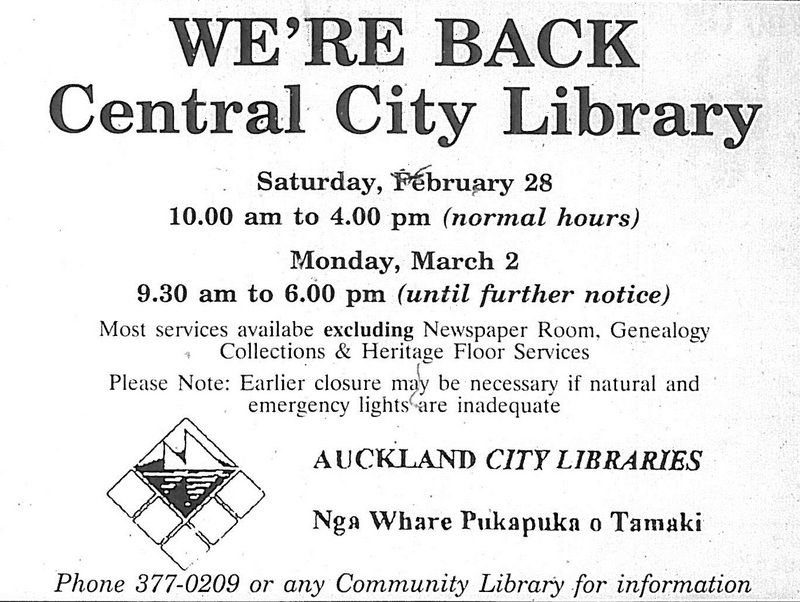 For further reading on this, Auckland Libraries holds a fascinating resource, compiled by past librarians: the Mercury Energy Crisis scrapbook. It’s a comprehensive, two-volume, reference-only compilation of clippings chronicling the weeks and aftermath of the crisis. It’s freely available to browse in the Central City Library Research Centre on Level 2.